Hey sweetie pies! The month of July is about to end and could you imagine that we are only five months away to 2016? It's fast! How was your first half of the year? I was a little emotional and depressed few weeks now that made me realize I need good vibes. So I went to Market! Market! Taguig City today to claim my gift pack from Gluta White and Firm (will be posting a separate blog for this) then I thought that I should stay a little longer and stroll around the mall. 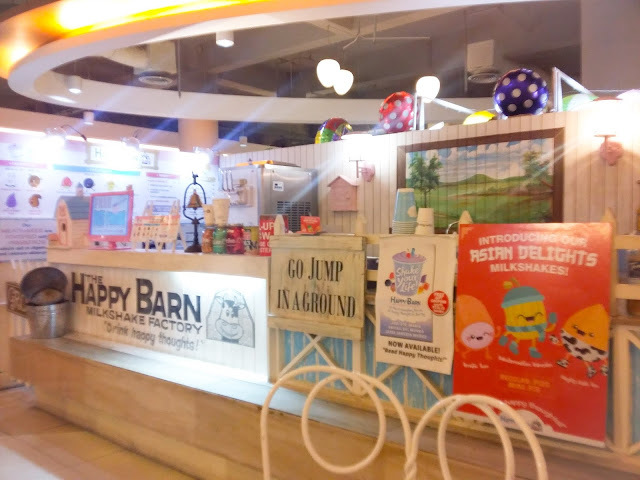 Then I stumbled upon The Happy Barn. 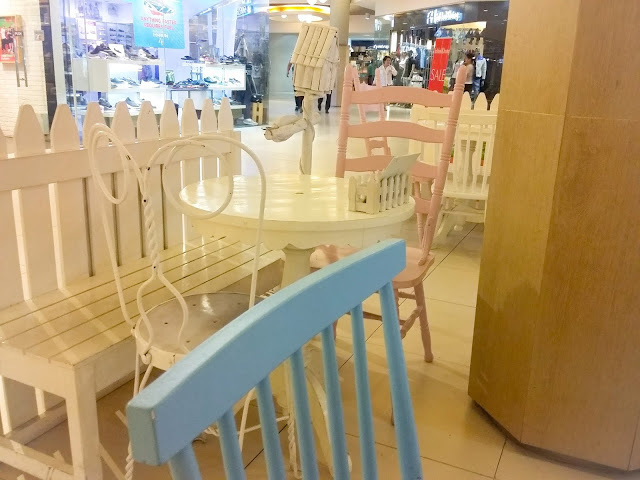 The store really caught my attention because of its pastel-themed dining area. Plus, because of the happy word. I really need some positive aura right now because of some certain shits I'm dealing with, but anyways, I stayed here for like 30 minuted for a milkshake. I was actually craving for a cupcake or anything sweet. I saw Vanilla Cupcakes but I already featured their store here so I thought that I should feature a new one, since I have been idle doing features lately. I saw a yogurt stand before I saw this one, and I decided to stay here. Drink Happy Thoughts is very catchy! I'd like to drink happy thoughts. Wouldn't it be nice? So I haven't taken so much photos of the store because the lighting is too dark, but basically, you can only see a little view here. There are only three sets of dining area, and you can easily see the counter area. I ordered for Tickled Pinkberry since the cashier mentioned that this one is one of their best sellers. The other one is Oreo Overload but I don't want too much sweets that time. So the flavor is, yes, strawberry. It has a medium-sized marshmallow coated with chocolate syrup and crushed graham, I guess? This one is the mini size since I don't want to spoil my appetite. I bought this for 70 pesos. The regular size costs Php120 but it's too large for me to consume. I think this one is just enough to satisfy my sweet cravings. 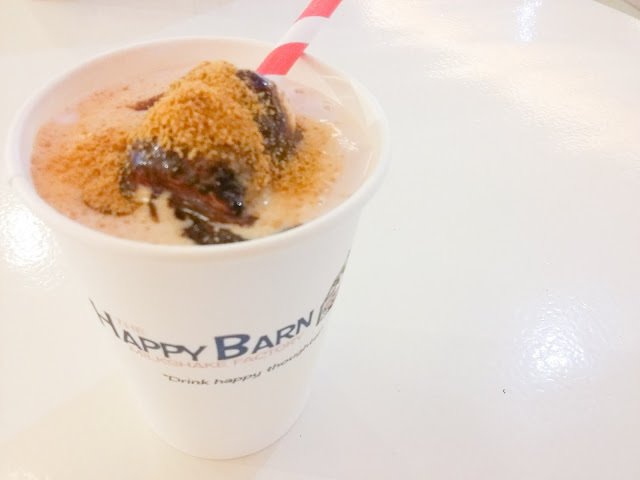 Did you know that The Happy Barn's milkshakes are fortified with prebiotics which aids in digestion and calcium absorption? Which means, it's not all sweets. You can also get health benefits from it! I had a brain-freeze on my first sip, but it tastes good until the last drop. It tastes so much of a milk than strawberry but I don't mind. I like the combination of the two anyway. So far, this made me a bit happy. I'll try other flavors and toppings next time! Visit them for happy vibes!